We love meeting new people. We also love to talk about business, the web, social media, mobile technology, SEO, great design and effective advertising. If your website needs a makeover, if you need some creative ideas for Facebook or Twitter, if you aren't as effective as you'd like to be, let's sit down together and see if we have any ideas that might help. Consultations are free, so you've got nothing to lose. We offer free, no-obligation consultations in your office or over the phone. We’ll review your current website and social media presence and discuss ways to better achieve your goals online. Editing Your Site. Can you easily edit and maintain your website? Marketing and Search. Is your website bringing you new customers and helping you achieve your goals? Are people finding you online? Design. Does your website look clean, modern, and professional? Functionality. What would it take to add the functionality you need? We can discuss e-commerce, user forums, contact/intake forms, security, and more. Social Media. Are you taking full advantage of social networks? We can help answer that question and discuss ways to improve your approach. Hosting. Is your web host reliable and fast, or are potential customers experiencing outages and slow load times? 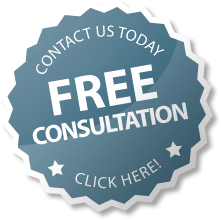 Go ahead and start your free, no-obligation consultation by filling out the form below.